When you think of your children’s safety in school, you probably think of reckless drivers, junk food and sudden seasonal downpours. Something you should add to this list: dirty walls It may not sound to threatening but dirty wall are real health hazards. 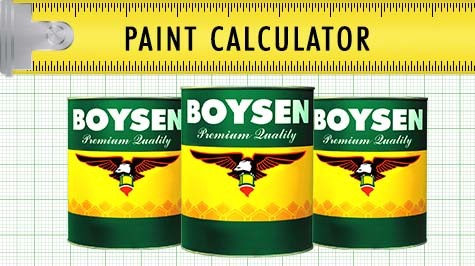 In this year’s Philippine World Building and Construction Exposition or WORLDBEX 2007, BOYSEN® launches its new product, Healthy Home™ Anti-Bacterial Paint with Microban®. President Gloria Macapagal Arroyo and Secretary Esperanza Cabral of the Department of Social Welfare and Development DSWD wield paint rollers as they join the Serbisyo Muna Caravan in Mandaluyong City where they painted a school building and distributed school supplies. Gawad Kalinga is a non-profit organization that aims for community empowerment, massive volunteerism in helping the poor and nation building. They live among us, but they are too small to be seen. They move slowly, but they multiply fast. They work silently, but they could give you a hacking cough, or worse, a fatal disease, in a matter of seconds. They are the harmful microbes that are found everywhere. About the Program. The Metrobank Foundation becomes an avenue for Pacific Paint BOYSEN® Philippines to help underprivileged but deserving students finish their college education through the Metrobank Foundation, Inc. –Pacific Paint BOYSEN® Philippines, Inc.
Art is one of the greatest form of expression. Think about brushes, charcoal and pastel and you can almost see magnificently blended colors and images. That is the spirit of art. Can the same spirit be found in your good old house? From right Engr.